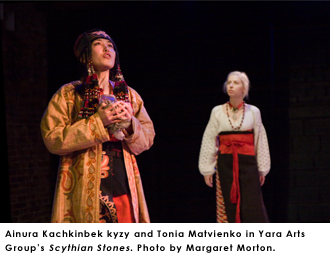 Olena Jennings recently attended two performances, Yara Arts Group’s Scythian Stones at La MaMa E.T.C. and Marina Abramovic’s The Artist is Present, which is still running at New Yok City’s MoMA until May 31st. Viewers flocked to Abramovic’s show to witness the arduous physicality of her task (and perhaps some to experience a titillating squeeze through a couple of live, naked, statuesque women). Jennings, whose work focuses on Ukrainian tranlations, explains some of the ancient ritual body symbolism in the the two pieces that are culled from various ethnic origins, from Abramovic’s native Serbia to Turkey and beyond. Russia has seen its share of changes, rapidly over the last century and a half. And so has its literature, from the days of Dostoevsky and Tolstoy, to the writers managing to document the Soviet era, to today’s pen wielders of supposed freedom and autonomy amidst ongoing conflicts in Chechnya and growing gangland capitalism. 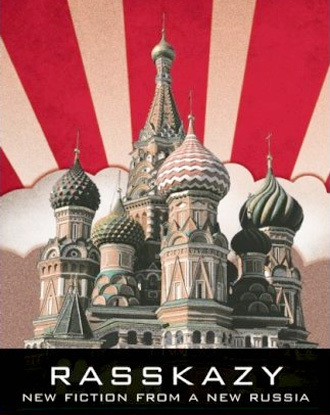 Editors Mikhail Iossel and Jeff Parker bring us a new survey of Russian literature for current times. Olena Jennings reviews.